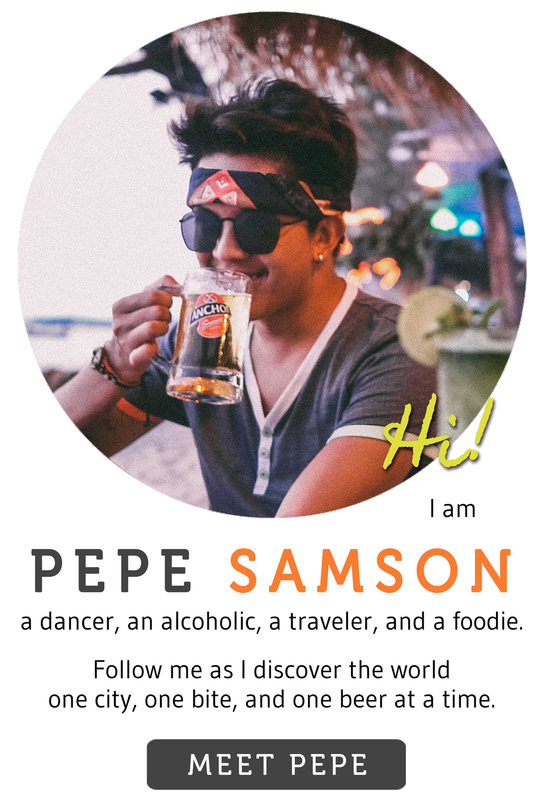 When I had my first taste of their truffle siomai, I knew that Lung Hin was more than special. 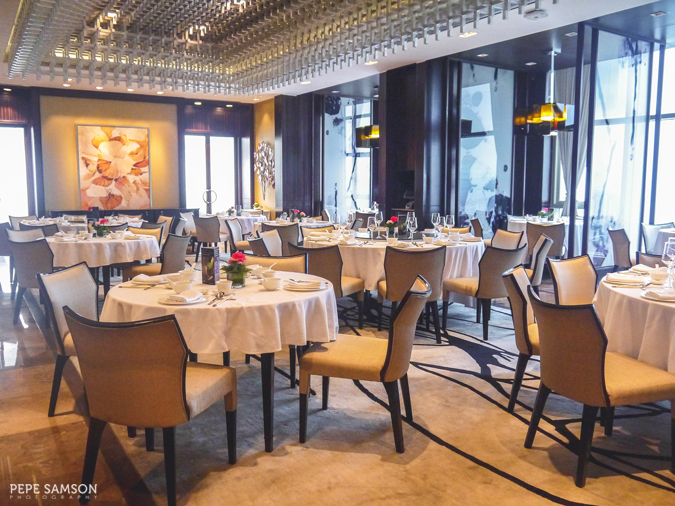 Situated in the 44th floor of Marco Polo Ortigas, Lung Hin is the four-star hotel’s in-house Cantonese restaurant serving authentic Chinese cuisine. 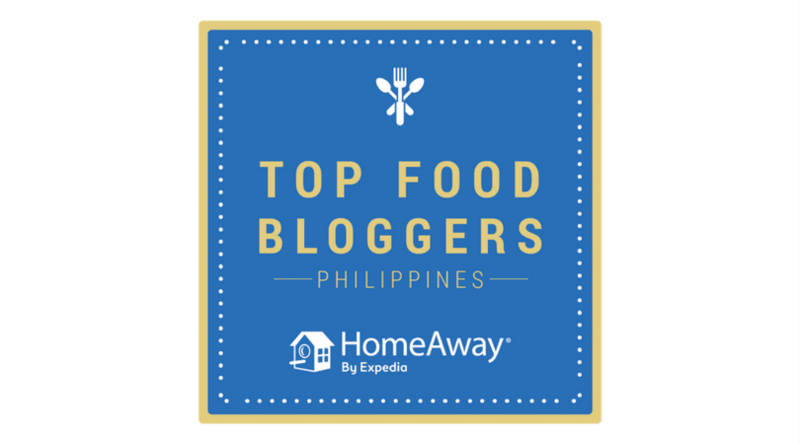 My first encounter with their food was a few months back when I stayed at the hotel, and from that day on, I’ve been craving for more of their food—especially that Steamed Pork Siomai with Truffle Sauce (damn). 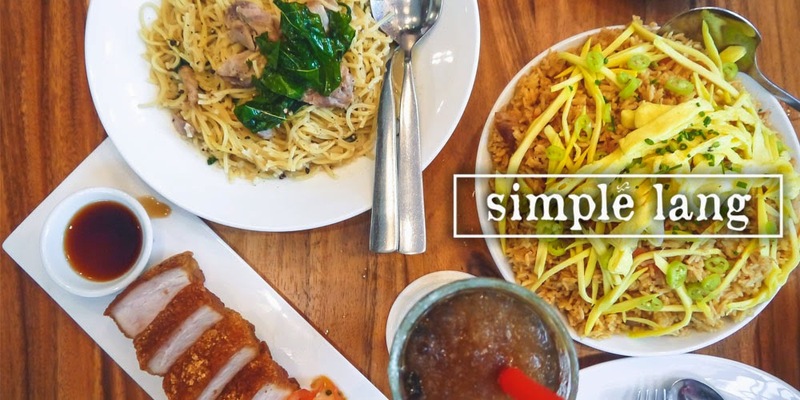 Helmed then by Michelin-starred chef, Chef Sunny Cheng, Lung Hin’s dishes are simple yet exquisite, making it the one of most preferred Chinese restaurants in Manila. 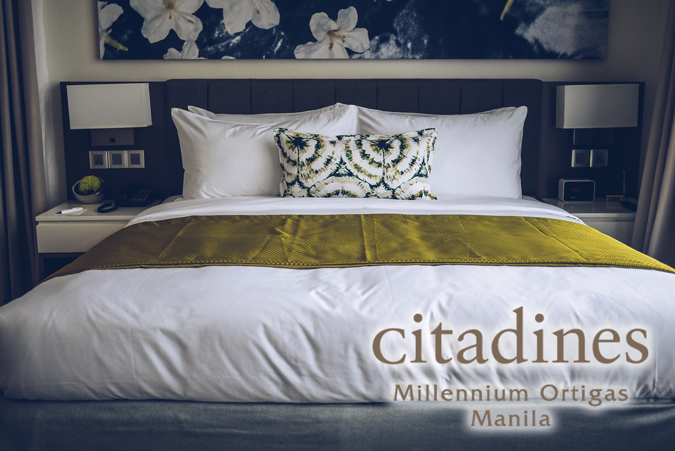 The quality of food served at the restaurant was noticed not only by its dominantly Chinese and Fil-Chi patrons, but also by China itself. 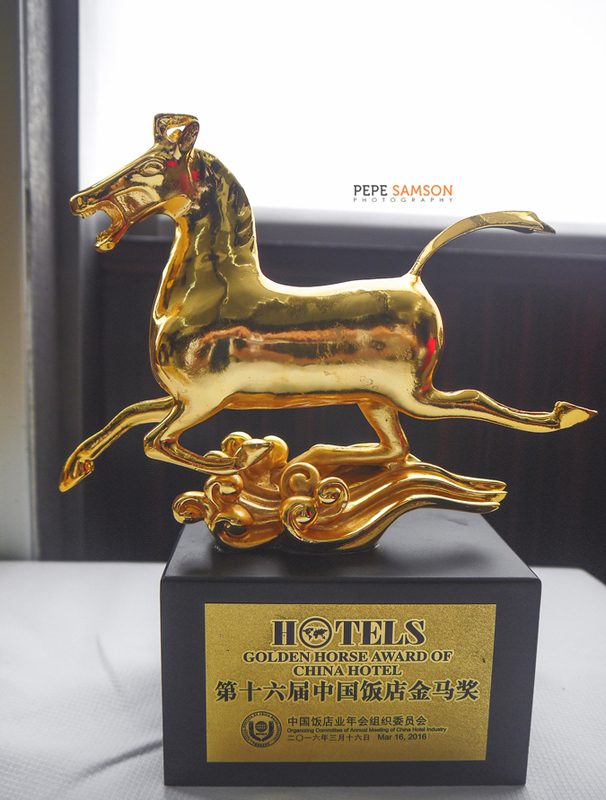 In the recent 16th China Hotel Industry Golden Horse Awards Gala Dinner held in Guangzhou, China, Lung Hin received the prestigious Golden Horse Award for being one of most outstanding Chinese restaurants outside of China. 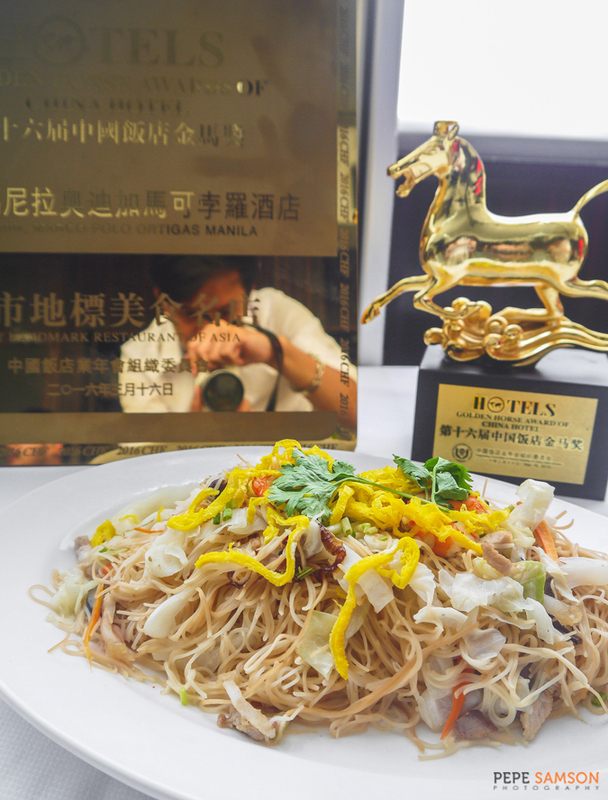 Bagging a trophy from this hotel-focused award-giving body is the equivalent of receiving an Oscar, and indeed, this affirms the quality of food and service at Lung Hin. 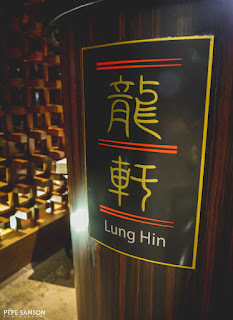 A few weeks back, I was invited to come back to Lung Hin to meet its new Executive Chef and to try the new dishes he’s introducing. 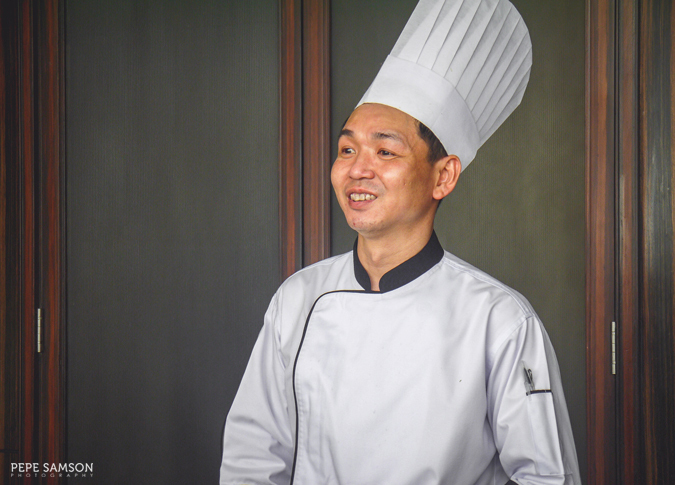 Chef Leung Chi Kwan, who has worked in international five-star properties in Hong Kong, Singapore, and Ireland, aims to bring his 20 years of expertise to the restaurant and create even more inspired dishes. 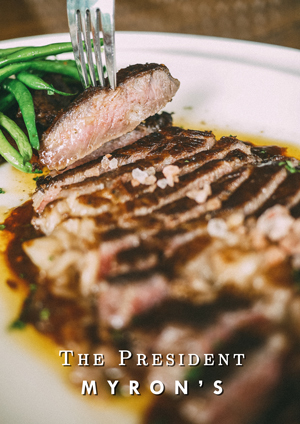 Check out what he served us for lunch below—one of the most superb lunches ever. 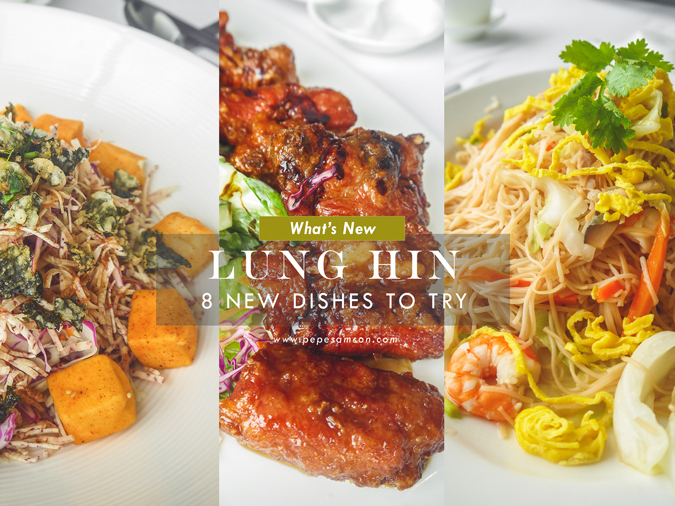 All being well, with the coming of the new chef, Lung Hin will continue to uphold its world-class standard and maintain its excellence in Chinese cooking. 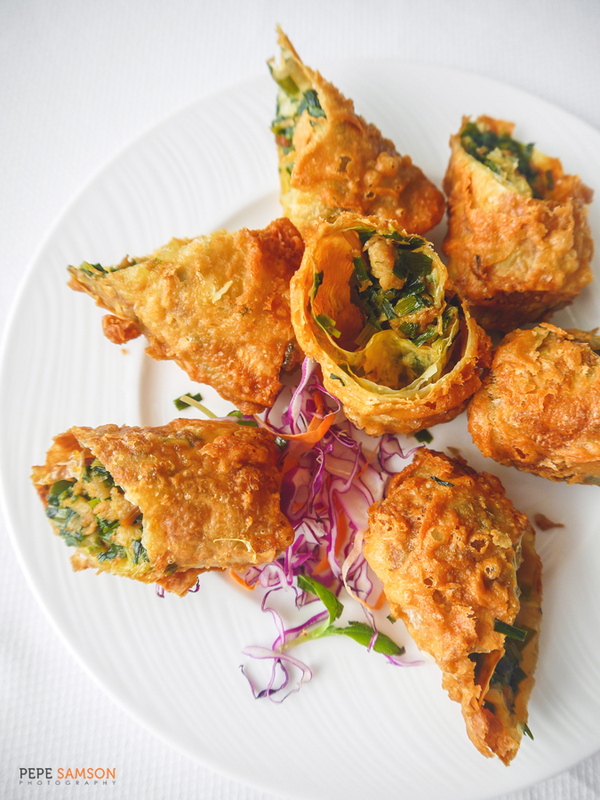 Pretty to look at and even more pleasant to dig into, this appetizer is a jumble of flavors and textures. No need for dressing—the simple combination of cabbage strips, shredded taro, seaweed, and lightly crispy tofu endlessly taunt you to get some more. 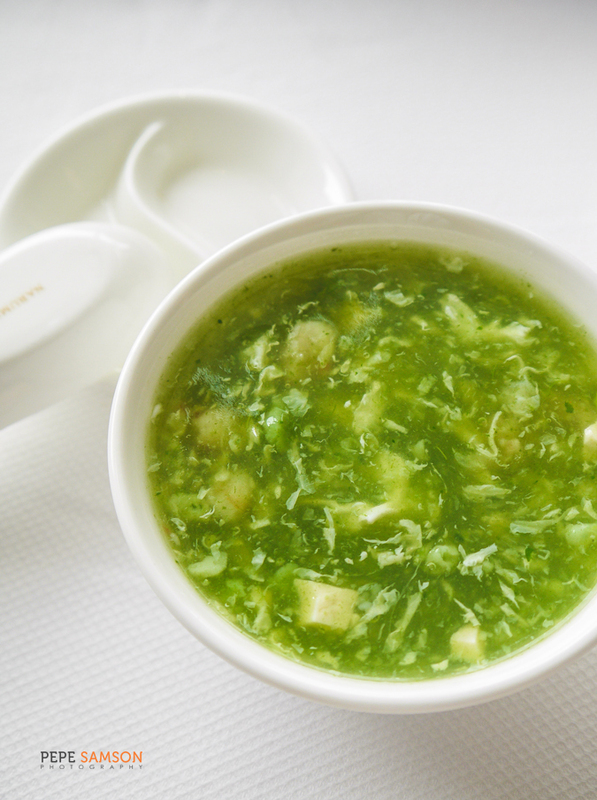 Nothing whets up the appetite more than soup does, and this Lung Hin creation is a silky bowl of seafood, blended spinach, egg and tofu that’s guaranteed to make you excited for the next dish. This is one of the tastiest dishes in this awesome lunch—a plateful of addicting beancurd rolls that are delicate and lightly crisp, enveloping savory pork and chopped leeks. The XO sauce further heightens each bite. I normally don’t like fried food with crispy wrapping, but this was SO GOOD. 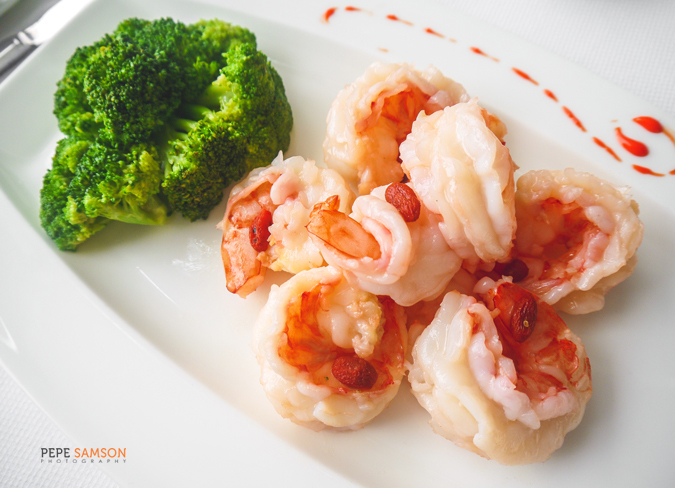 I’ve never seen prawns as fresh, plump, and appetizing as these juicy ones served to us by Chef Leung Chi Kwan. The dish was impeccably presented—topped simply with goji berries and served with broccoli—and was perfectly executed. No need for frills, all you have to do is dip a piece into some XO sauce in order to taste perfection. All at once sweet, salty, and sour, these spare ribs simply demand to be devoured (with a cup of rice, preferably, LOL). 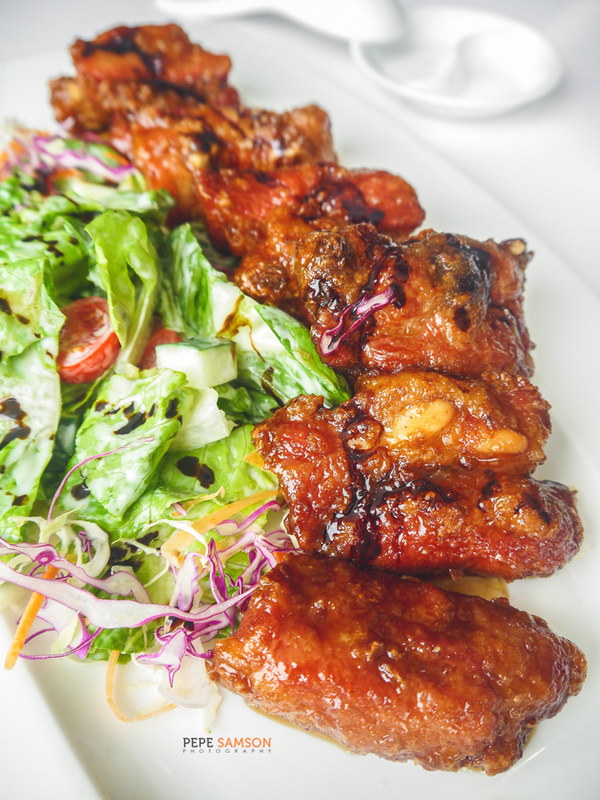 The use of black vinegar differentiates it from the regular spare ribs offered in the menu. Believe me, the real thing was as saliva-inducing as the photo. 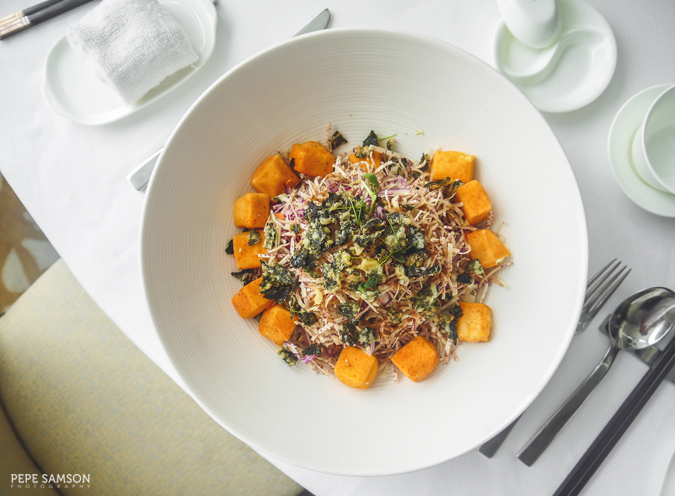 This dish is like Chef Leung Chi Kwan’s way of saying, “I can randomly combine things and it will be amazing”. Except, of course, that it wasn’t random. 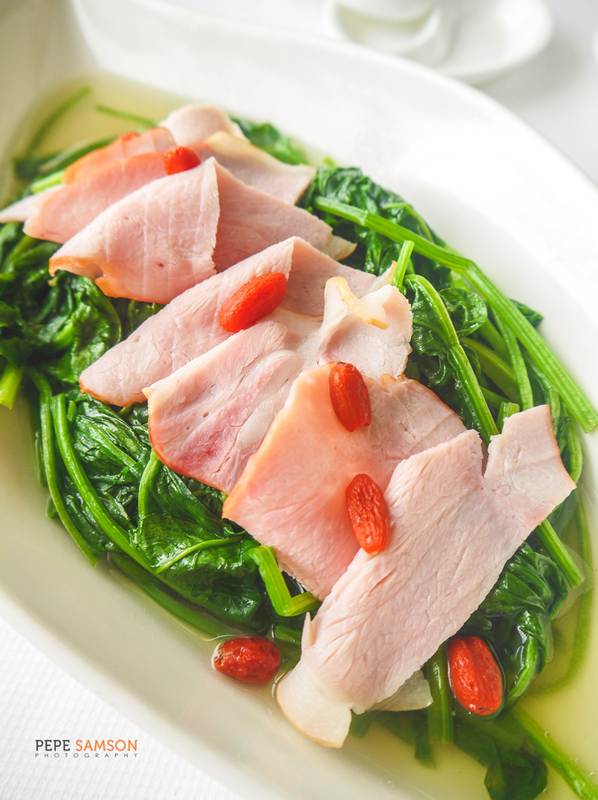 Thin slices of Chinese ham, delicate and delicious, crown a bed of spinach soaked in a light, flavorful superior broth that I can drink it for days. 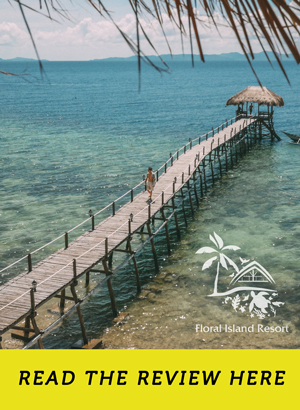 A must-order. 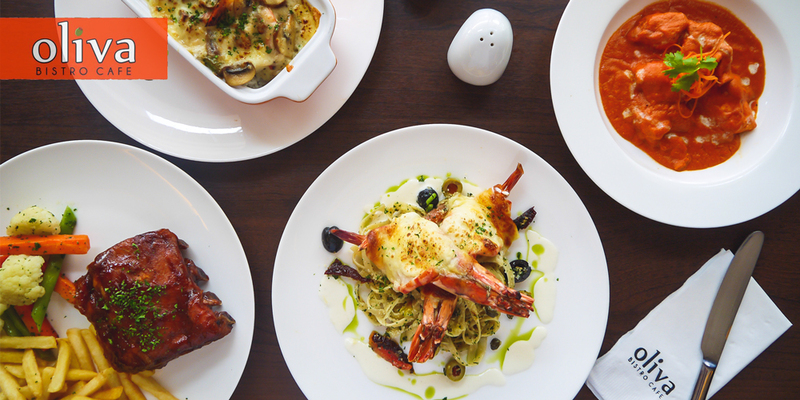 For lovers of seafood, especially lapu-lapu, this dish is one that you should try. The lean fish fuses perfectly with the creamy and earthy sauce—a light complement that allows the fish to shine. 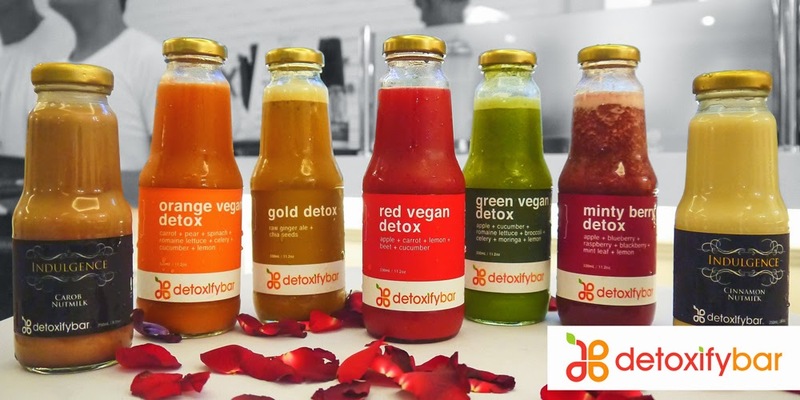 This creation was not only uncomplicatedly delicious, but healthy as well. 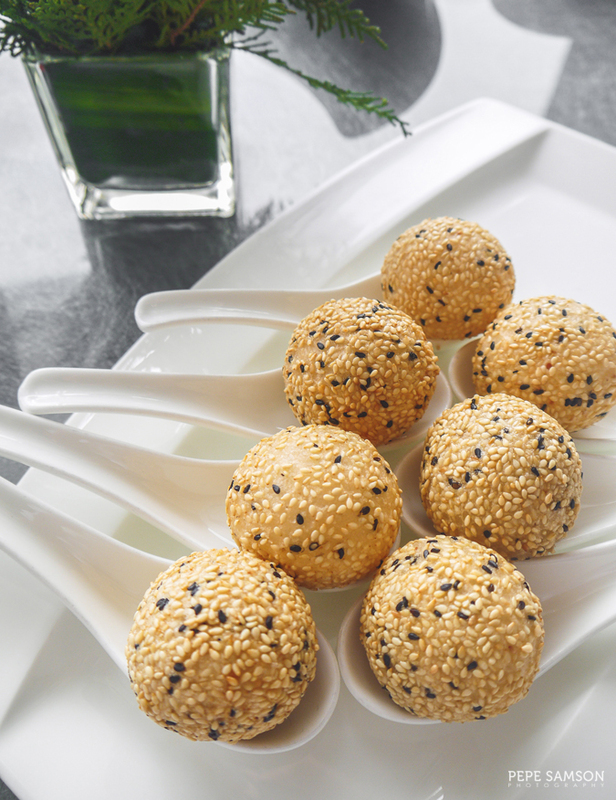 Misua brings out fondest memories of home for some of us, and Lung Hin’s rendition does the same. 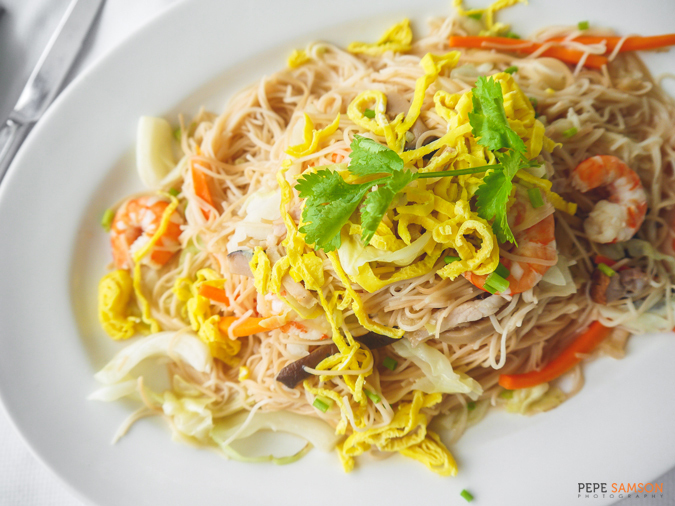 The noodles, cooked in a light soy sauce, are topped simply with shrimp, egg, mushrooms, and slices of pork. You can eat it as is or with a douse of chili sauce—either way, it’s delicious. 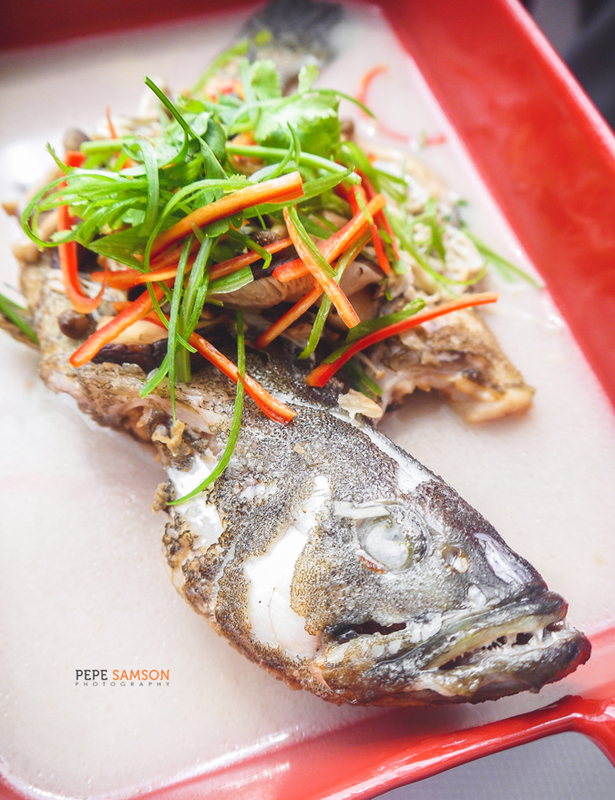 Menus reflect the qualities of the chefs who develop them, and if Lung Hin’s new dishes is reflective of Chef Leung Chi Kwan, then I must say that the chef is a master of subtlety. Not a single dish was overdone; each one focused on one main component and let it shine, and allowed the supporting characters to play their roles in the best way they could. 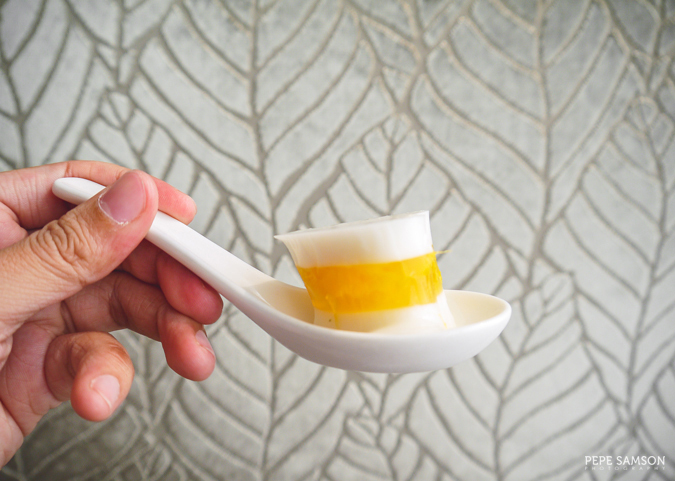 Even the desserts—buchi and coconut mango jelly—exhibit the same stellar qualities. 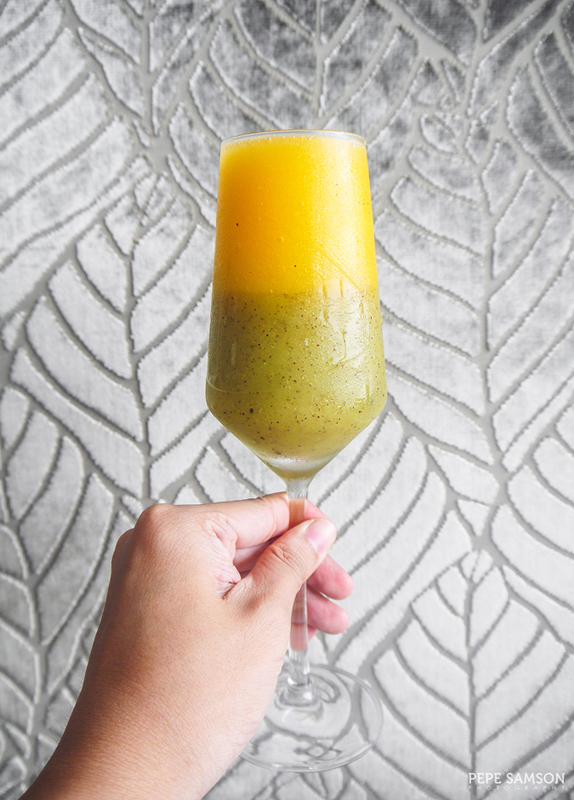 For a Filipino who’s used to headache-inducing Chinese food, Lung Hin was a refreshing discovery. 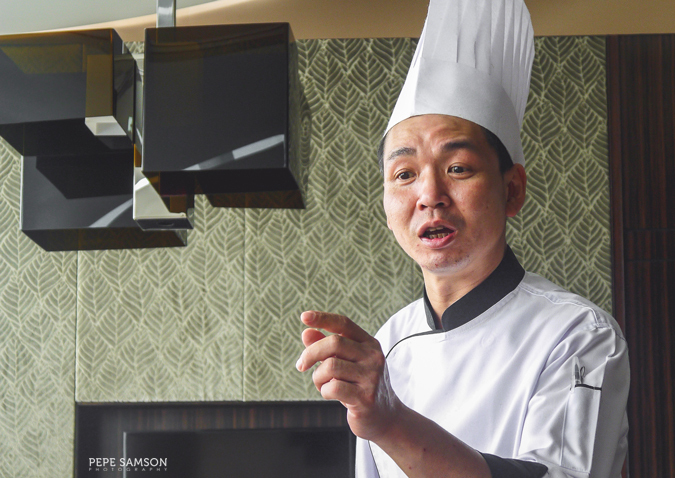 The next time you come to Marco Polo and Lung Hin, try Chef Leung Chi Kwan’s new dishes and explore Chinese food unlike any other—and discover why the restaurant has gained itself an “Oscar”. 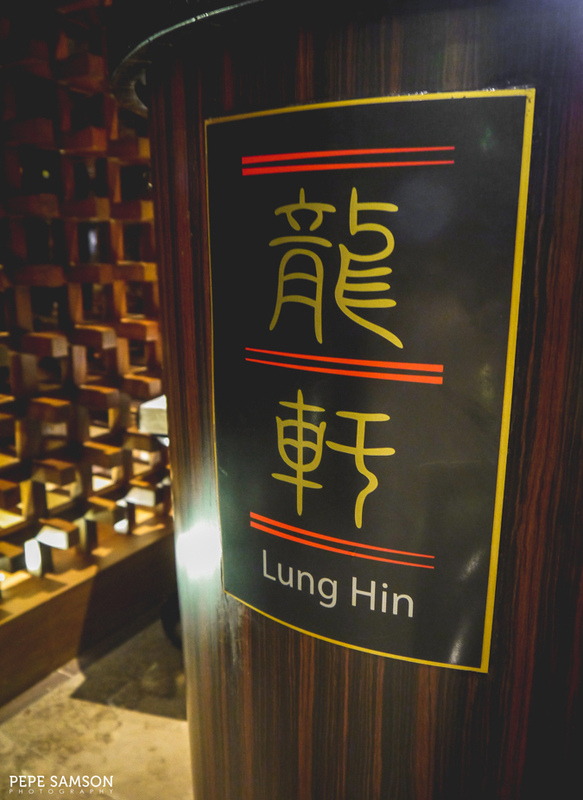 Have you tried Lung Hin in Marco Polo Manila? What dishes did you like? 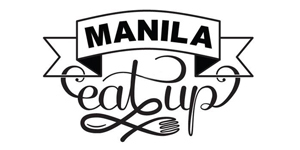 My meal was sponsored by Marco Polo Manila. All opinions, however, are my own.